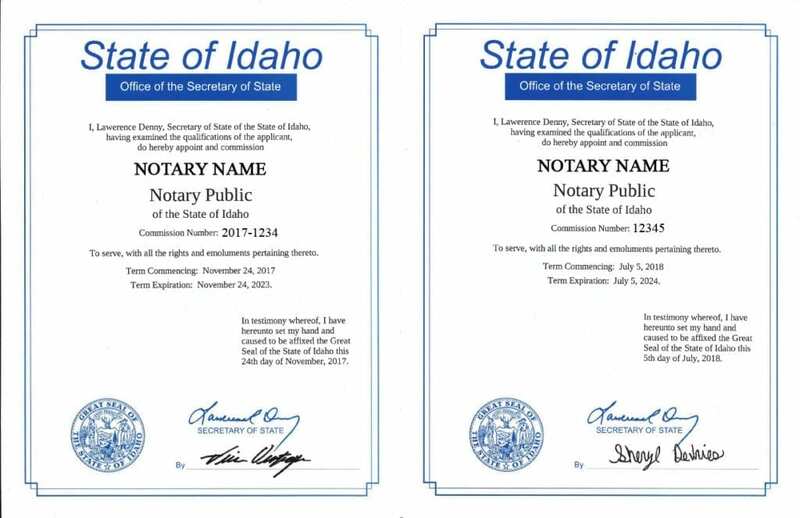 Every current Idaho Notary Public must use the new stamp format starting October 1, 2018. All existing stamps must be destroyed or disabled after September 30, 2018. The stamp must be an inked stamp. The stamp must have a serrated or milled-edge border. The stamp must be in a rectangular or circular form. The stamp shall not exceed two and one-fourth (2.25) inches by one (1) inch if rectangular, or one and three-fourths (1.75) inches in diameter if circular. (NEW) The notary’s state-issued commission number. “My commission expires:” followed by your current commission expiration date. Nothing more is permitted on a notary stamping device. Please refer to the samples below for guidance in purchasing your notary stamp. Please contact us at info@notary.net should you have any questions. You can use the Notary Public Online Search to find your commission number. Simply enter your name as it appears on your notary certificate. This search will also indicate whether your commission is still active and the expiration date of your commission. You can find your commission number on your notary certificate. If you were originally commissioned prior to July 2017, your notary certificate will indicate a filing number rather than a commission number. Your filing number is your notary commission number. You can contact the state. Please email them at naa@sos.idaho.gov or call (208) 332-2811. 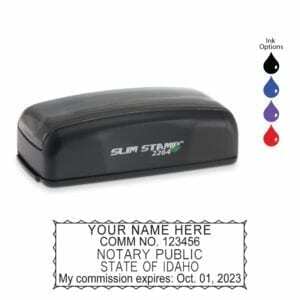 Order your Idaho Notary Stamp now. You must have this new format to be able to perform notary service on or after October 1, 2018. 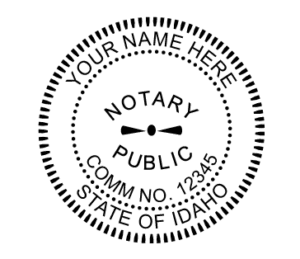 (1) Each notary public shall provide and keep an official seal, which shall be a rubber stamp with a serrated or milled-edge border in a rectangular or circular form and includes the words “Notary Public,” the notary public’s name, the words “State of Idaho,” and nothing more. (2) The seal shall be impressed below or near the notary public’s official signature on each notary certificate that the notary administers. 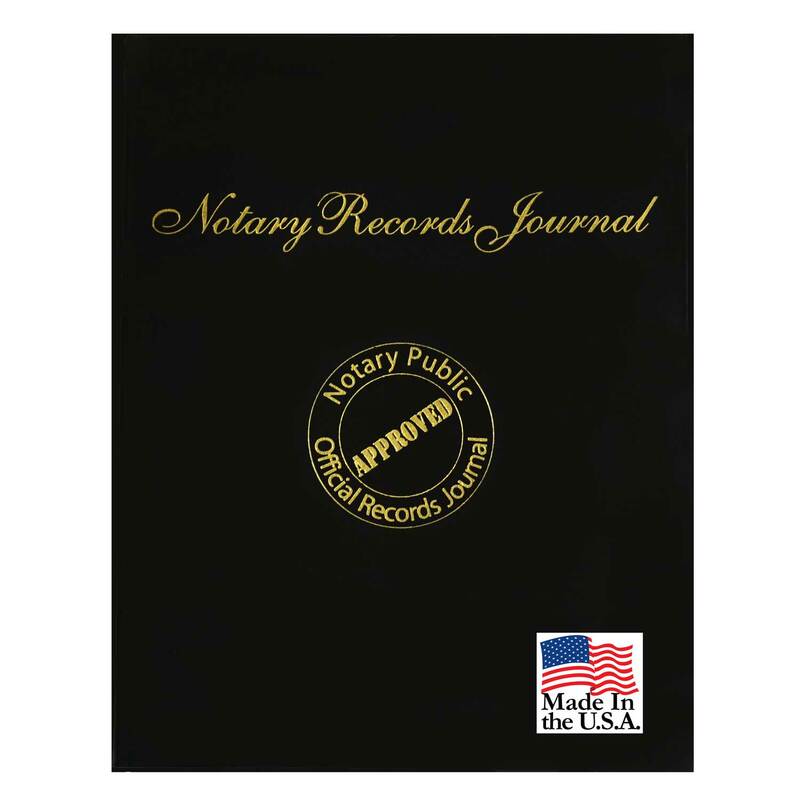 (3) A notary public is responsible for the security of the notary public’s stamping device and may not allow another individual to use the device to perform a notarial act. On resignation from, or the revocation or expiration of, the notary public’s commission, the notary public shall disable the stamping device by destroying, defacing, damaging, erasing or securing it against use in a manner that renders it unusable. On the death or adjudication of incompetency of a notary public, the notary public’s personal representative or guardian or any other person knowingly in possession of the stamping device shall render it unusable by destroying, defacing, damaging, erasing or securing it against use in a manner that renders it unusable. If a notary public’s stamping device is lost or stolen, the notary public or the notary public’s personal representative or guardian shall promptly notify the commissioning officer or agency on discovering that the device is lost or stolen. (5) May not include anything more than that which is allowed in subsections (1) through (3) of this section. (1) The stamping device for tangible records must be an inked stamp that provides an image of the notary’s official stamp that meets the requirements of section 51-117, Idaho Code, and that is readily visible upon copying. The stamp shall not exceed two and one-fourth (2.25) inches by one (1) inch if rectangular or one and three-fourths (1.75) inches in diameter if circular. 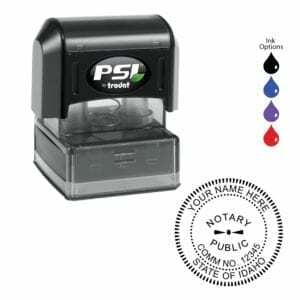 (2) The stamping device for electronic records must be an electronic device or process that provides an image of the notary’s official stamp that meets the requirements of section 51-117, Idaho Code, and that is readily visible upon copying. (3) A notary public is responsible for the security of the notary public’s stamping device and may not allow another individual to use the device to perform a notarial act. On resignation from, or the revocation or expiration of, the notary public’s commission, the notary public shall disable the stamping device by destroying, defacing, damaging, erasing or securing it against use in a manner that renders it unusable. On the death or adjudication of incompetency of a notary public, the notary public’s personal representative or guardian or any other person knowingly in possession of the stamping device shall render it unusable by destroying, defacing, damaging, erasing or securing it against use in a manner that renders it unusable. (4) If a notary public’s stamping device is lost or stolen, the notary public or the notary public’s personal representative or guardian shall promptly notify the commissioning officer or agency on discovering that the device is lost or stolen. 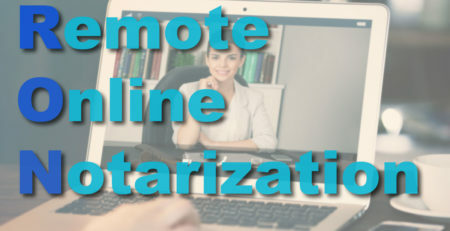 Should You Become a Remote Online Notary?